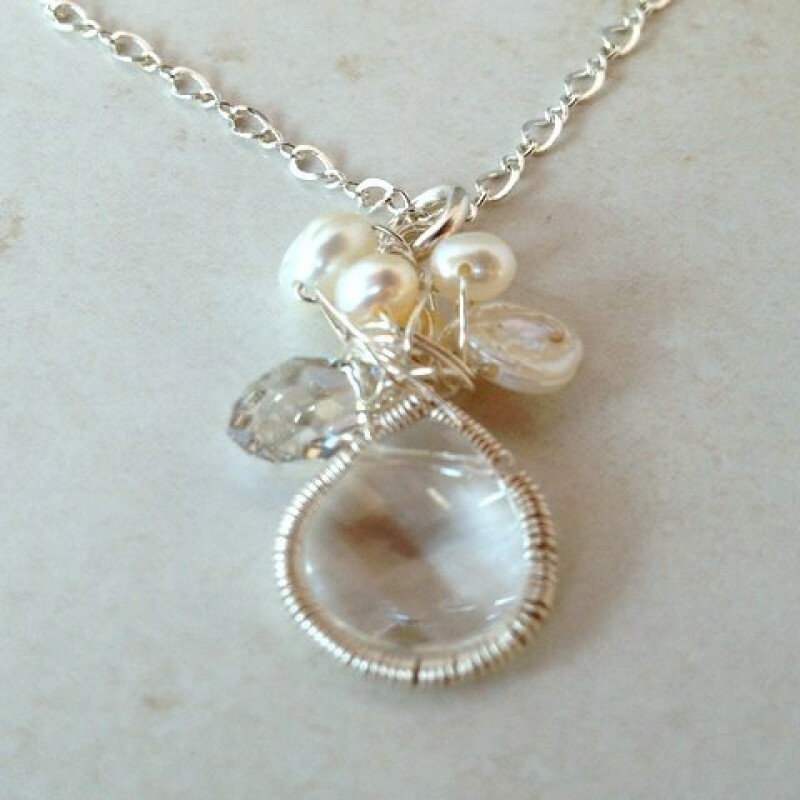 Sterling silver is wrapped around Swarovski crystals and adorned with Swarovski crystals and fresh water pearls. 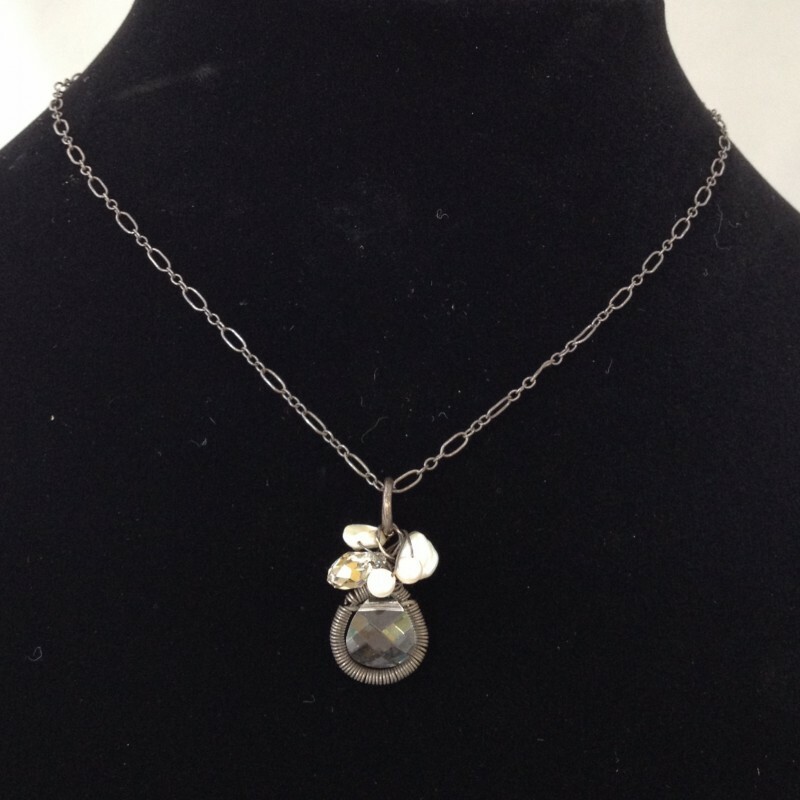 The pendant hangs on a delicate sterling silver chain. Handcrafted clasp. 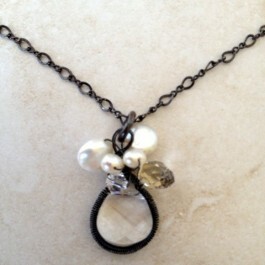 Available in oxidized (blackened and antiqued) sterling or shiny sterling silver. 16"-18" long. Pendant drops about 1". 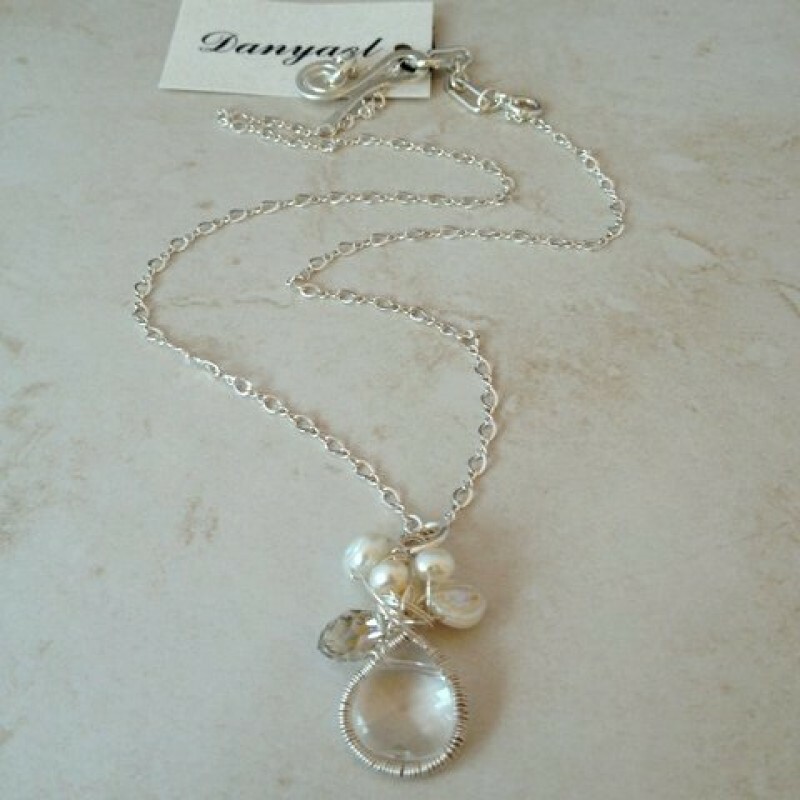 See our matching Sterling Silver Wrapped Crystals and Pearls Earrings.